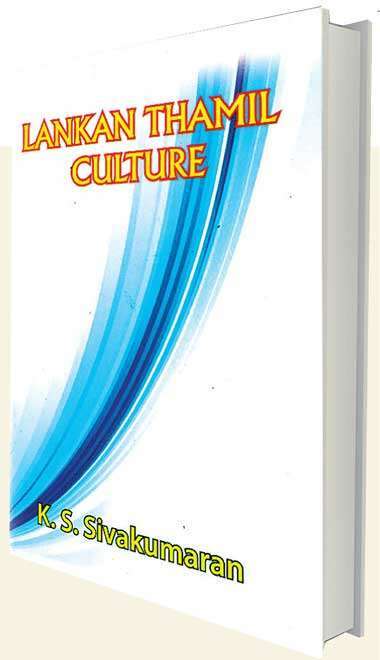 A glance at “Lankan Thamil ulture” by K.S. Sivakumaran is to be reminded of the huge cultural gap that exists between the Sinhalese and Tamils, despite all attempts at cultural exchange. In 19 concise articles written to newspapers from the 1980s on, Sivakumaran presents a fascinating mosaic of cultural facts about Lankan Tamil literature, journalism, writers, life in the North and history of the maritime adventurers of Velvetiturai. The author is a noted film critic but this writing reveals that he has been studying the Tamil cultural canvas as broadly as possible. Selvarajan and his family acted in the Sinhala film ‘Adara Kathawa,’ a story about multi-ethnic love. Tissa Abeysekara made a short documentary film in Tamil called ‘Kamam’ (agriculture), with Selvarajan and his second wife Kamalini in it. When reading this book, it’s a pleasure to find how one thing leads to another: “Selvarajan’s erstwhile companion was another fine short story writer and critic, M.D. Rasadurai… during the late 1950s, both Sillayoor and Kavaloor (the names of their respective villages) worked for the former Shell company. 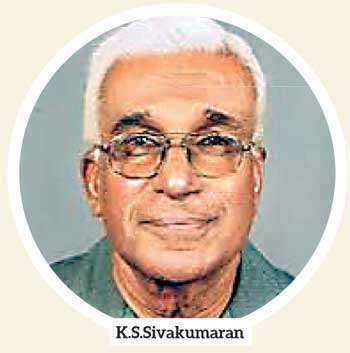 One of the fine editors in English and Sinhala, Lakshman Ratnapala was also working for that company then (I worked with Lakshman in the newsroom of the Sri Lanka Broadcasting Corporation in the 1970s).” A second bibliography of Sri Lankan fiction in Tamil was compiled by academic N. Subramanium, who says the author of first-ever Tamil novel “Asanbae Udaya Kathai” published in 1885) was Siddi Lebbe. Sri Lanka has issued a stamp honouring him. Chapter five traces the creation of a Hindu encyclopaedia, initiated by Chelliah Rajadurai when he was minister of Hindu Culture and Tamil Affairs, and followed up by Minister P. P. Devaraj. It was compiled and edited by “indefatigable Tamil scholar” Prof. P. Poologasinham. "A second bibliography of Sri Lankan fiction in Tamil was compiled by academic N. Subramanium, who says the author of first-ever Tamil novel “Asanbae Udaya Kathai” published in 1885) was Siddi Lebbe. Sri Lanka has issued a stamp honouring him "
“Subramania Bharathi” discusses a book of essays on the Indian poet by that name. It says that a line from his poem “Bharatha Desam” was much misunderstood by our censors. “Sinhala theevinukor Paalam amaipom” means ‘let’s have a bridge to the Sinhaladipa.” This was taken out of context and banned from SLBC broadcasts years ago. The line actually meant a cultural bridge between the two countries. “Portrait of a Plantation Writer” discusses a book by Saral Nadan about C.V. Velupillai who loved hill country Tamil culture and folklore. He was a bilingual writer (Tamil and English) magazine editor, trade unionist and Member of Parliament, and among the first to spotlight the plight of plantation Tamils. "In 19 concise articles, Sivakumaran presents a fascinating mosaic of cultural facts about Lankan Tamil literature, journalism, writers, life in the North and history of the maritime adventurers of Velvetiturai"
“Velvetiturai seafarers sail for the US” is a very interesting chapter on the history of the boatbuilders, sailors and navigators of Velvetiturai. A number of them sailed from there, on a locally-built boat called “Annapoorani” owned by an American, and reached New York 18 months later. The article mentions a book about VVT seafarers by a Jaffna journalist, and traces their history back some 700 years. “Lankan Thamil Culture” is published by S. Godage & Brothers Ltd., and is priced at Rs.350.